Social-networking sites’ impressive growth has attracted much attention because the sites have made people’s personal relationships more visible and quantifiable than ever before. They have also become important vehicles for news and channels of influence. Twitter regularly scores headlines with its real-time updates on events like the Mumbai terrorist attacks and on the activities of its high-profile users, who include rap stars, writers and royalty. And both Twitter and Facebook played a starring role in the online campaign strategy that helped sweep Barack Obama to victory in the presidential race. The accelerated growth of social networking is alarming as social networks keeps sprouting everyday like Google+ did.As you may know, Google, a house-hold name, has a range of products and applications. From the Google search engine, Froogle for product search, Picasa for Photo organization and editing,Blogger mobile for updating Blogger blog from mobile devices,Youtube for viewing videos online, to Gmail(to name a few). 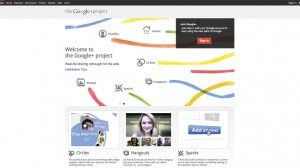 Recently Google joined the league of social network owners by launching a social network website called Google+. Google’s new social network, Google+, premiered 28th June and it is set to reel. 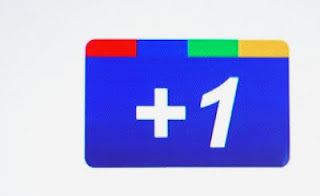 Google+ has some exciting features which,according to my own opinion,was gotten from facebook but also offer a new approach to social networking. Google+ imports all of your information from Gmail automatically—and that means all. When you’re updating your friend circles there’s a tab toward the top of the page that says “Find and Invite”; click on it and you’ll see a list of just about everyone you’ve ever sent an email to through Gmail alphabetically—even if the last time you sent them an email was four years ago. It’s not surprising that Gmail remembers everyone you’ve every sent an email to—but it’s a little jarring when all those names come rushing back at you at once. Now, how to organize all those people. 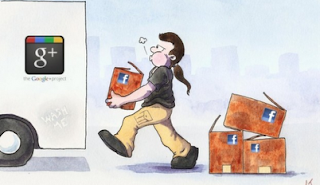 Google claims to have done a radical rethink of the way social networks ought to work, so that they more closely mimic the way we organize our friends in real life, you actually pick up people with your mouse and drag them into this circle or that. You can form a circle for your class mates, Collegues, Best friends and Family. 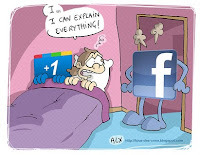 Google+ answers the call of many privacy activities to provide the functionality needed to set the privacy level on each piece of content shared. For instance, when I share an article or upload a camera image, Google+ gives me choices of which friend circles I’d like to share that content with. A picture from my phone might be perfectly fine for my Close Friends circle but very wrong for my Colleagues circle, for instance. For every piece of content you share on Google+, you’re asked which circles or individuals should be able to see it. The “Stream” section of Google+ is analogous to Facebook’s News Feed, and it does almost nothing different except for the fact that before you post anything, you have to decide which circles see it. You can make it available to “all circles” or even to “extended circles” where you basically email what you post to people who aren’t on Google+.The Stream function in Google+ is very similar to the News Feed in Facebook. Controls at the side of the page allow you to choose which of your circles of friends can contribute items to your stream. Choosing who sees what is in your stream might do one of two things when everyone starts using this: either your news feed will finally have information that pertains only to what you’re interested in, without the blast of “everyone from knitting club message me!” updates; or your stream will become immensely boring, without any of the emotional impulse-statuses that make Facebook a salient place for social information. One interesting feature that could really put Google+ ahead of Facebook is its “Hangouts” feature. Google+ Hangouts are a kind of mashup of video chatting through Gmail, and the old “chat rooms” of the days when AIM was our only chat option. First, you click on the “Start a hangout” button, and it takes you to a separate webpage and enables your webcam and mic (while it’s loading it even gives you a “fix your hair and make sure your mic works!” message, so you’re not taken by surprise). Then, you invite circles of friends, or individual friends to the Hangout room for the video chat session. You can create Hangouts of up to 10 people. Google puts the image of the person who is talking at the center of the screen. If multiple people are talking at once it moves the one who is talking loudest to the center. One of the first ways Google will try to win users from Facebook is by leveraging the assets it already has. Search is, of course, Google’s crown jewel. Where at Facebook you have to go wander around the web finding sharable content, Google+ brings the content to you. The feature asks you to choose from a list of possible interests (biking, sailing, sewing, etc. ), or to enter your own specific interest. Google then goes out and gathers relevant content from all over the Web. I found the content suggested by Sparks to be almost completely on-topic, and I even found some content that I could actually see myself sharing with friends. Importantly, you can choose which friend circles or single friends you want to share the content with. The posts show up in those friends’ news feeds, or as Google calls them Streams. Google+ is about to detract from facebook. What do you think?